Thats all. 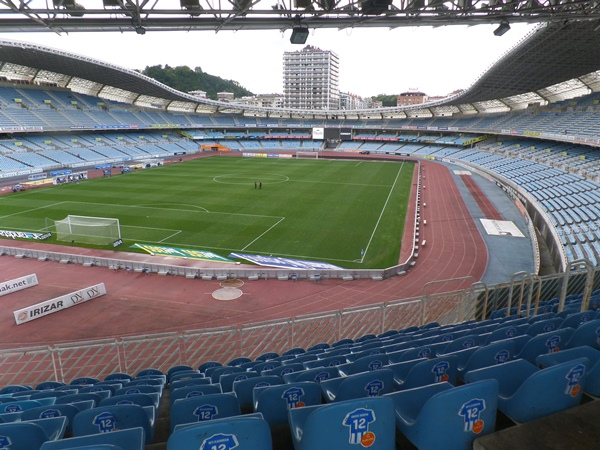 Game finished - Real Sociedad 1, Real Valladolid 2. Second Half ended - Real Sociedad 1, Real Valladolid 2. Sandro Ramírez - Real Sociedad - won a free kick on the left wing. Missed chance. Jon Bautista - Real Sociedad - shot with the head from the centre of the box is close, but misses the top right corner. Assist - Rubén Pardo with a cross after corner. Corner - Real Sociedad. Conceded by Fernando Calero. Offside - Real Valladolid. Nacho with a pass, however Duje Cop is in offside. Substitution - Real Valladolid. Anuar Mohamed for Míchel. Missed chance. Sandro Ramírez - Real Sociedad - shot with right foot from a diffucult position on the right goes high. Assist - Asier Illarramendi with a through ball. Shot blocked. Sandro Ramírez - Real Sociedad - shot with right foot from the left side of the box is blocked. Missed chance. Sandro Ramírez - Real Sociedad - shot with left foot from the left side of the box missed to the left after corner. Missed chance. Robin Le Normand - Real Sociedad - shot with the head from a diffucult position on the right is close, but missed. Assist - Willian José with a head after corner. Corner - Real Sociedad. Conceded by Nacho. Missed chance. Sandro Ramírez - Real Sociedad - with an attempt from the centre of the box missed. Assist - Adnan Januzaj with a cross. Delay in match Nacho - Real Valladolid - - injury. New attacking attempt. Jon Bautista - Real Sociedad - shot with left foot from few metres is saved by goalkeeper in the centre of the goal. Shot blocked. Robin Le Normand - Real Sociedad - shot with the head from the right side of the six yard box is blocked. Assist - Sandro Ramírez with a cross. Corner - Real Sociedad. Conceded by Kiko Olivas. Substitution - Real Valladolid. Duje Cop for Enes Ünal. Missed chance. Adnan Januzaj - Real Sociedad - shot with left foot from the right side of the box goes high. Assist - Rubén Pardo after corner. Shot blocked. Asier Illarramendi - Real Sociedad - shot with right foot from the centre of the box is blocked. Shot blocked. Adnan Januzaj - Real Sociedad - shot with left foot from the right side of the box is blocked. Assist - Willian José with a head. Substitution - Real Valladolid. Borja Fernández for Toni Villa. Joseba Zaldua - Real Sociedad - receive yellow card for a foul. Enes Ünal - Real Valladolid - won a free kick in defence. Substitution - Real Sociedad. Rubén Pardo for Mikel Merino. Míchel - Real Valladolid - receive yellow card for a foul. Joseba Zaldua - Real Sociedad - won a free kick in defence. Óscar Plano - Real Valladolid - won a free kick on the left wing. Missed chance. Sandro Ramírez - Real Sociedad - shot with left foot from outside the box is close, but missed. Assist - Robin Le Normand with a head. Delay in match Rubén Alcaraz - Real Valladolid - - injury. Mikel Merino - Real Sociedad - receive yellow card for a foul. Rubén Alcaraz - Real Valladolid - won a free kick in defence. Substitution - Real Sociedad. Jon Bautista for Theo Hernández. Missed chance. Sandro Ramírez - Real Sociedad - shot with right foot from outside the box is very close to the goal. Assist - Mikel Oyarzabal. New attacking attempt. Keko - Real Valladolid - shot with left foot from the centre of the box is saved in the left corner. Assist - Míchel. Goal! 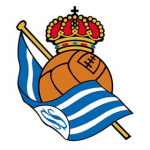 Real Sociedad 1, Real Valladolid 2. Mikel Oyarzabal - Real Sociedad - shot with left foot from few metres to the centre of the goal. Assist - Robin Le Normand with a head after corner. Corner - Real Sociedad. Conceded by Jordi Masip. New attacking attempt. Adnan Januzaj - Real Sociedad - shot with left foot from a diffucult position and long distance on the right is saved in the top centre of the goal. Sandro Ramírez - Real Sociedad - won a free kick on the right wing. Corner - Real Valladolid. Conceded by Héctor Moreno. Shot blocked. Toni Villa - Real Valladolid - shot with left foot from the centre of the box is blocked. Assist - Keko. Míchel - Real Valladolid - won a free kick in defence. New attacking attempt. Toni Villa - Real Valladolid - shot with right foot from outside the box is saved by goalkeeper in the centre of the goal. New attacking attempt. Asier Illarramendi - Real Sociedad - shot with left foot from outside the box is saved in the right corner. Goal! Real Sociedad 0, Real Valladolid 2. Antoñito - Real Valladolid - shot with right foot from a diffucult position and long distance on the right to the centre of the goal. Assist - Rubén Alcaraz. Shot blocked. Mikel Oyarzabal - Real Sociedad - shot with left foot from outside the box is blocked. Assist - Sandro Ramírez. Missed chance. Asier Illarramendi - Real Sociedad - shot with right foot from the centre of the box missed to the left. Assist - Adnan Januzaj after corner. Missed chance. Asier Illarramendi - Real Sociedad - shot with left foot from outside the box missed to the left. Offside - Real Sociedad. Willian José with a pass, however Sandro Ramírez is in offside. Substitution - Real Sociedad. Sandro Ramírez for Juanmi. Second Half starts Real Sociedad 0, Real Valladolid 1. First Half ended - Real Sociedad 0, Real Valladolid 1. Shot blocked. Adnan Januzaj - Real Sociedad - shot with left foot from outside the box is blocked. Assist - Willian José. Toni Villa - Real Valladolid - won a free kick in defence. Missed chance. 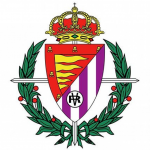 Rubén Alcaraz - Real Valladolid - shot with left foot from outside the box goes high. Assist - Óscar Plano. Missed chance. Héctor Moreno - Real Sociedad - shot with the head from the centre of the box is very close to the goal. Assist - Adnan Januzaj with a cross after corner. Corner - Real Sociedad. Conceded by Keko. Corner - Real Sociedad. Conceded by Antoñito. Missed chance. Enes Ünal - Real Valladolid - shot with the head from few metres missed. Assist - Míchel with a cross after corner. Corner - Real Valladolid. Conceded by Adnan Januzaj. Corner - Real Valladolid. Conceded by Theo Hernández. Shot blocked. Óscar Plano - Real Valladolid - shot with left foot from the centre of the box is blocked. Corner - Real Valladolid. Conceded by Miguel Ángel Moyá. New attacking attempt. Keko - Real Valladolid - shot with right foot from outside the box is saved in the top right corner. Assist - Míchel. New attacking attempt. Willian José - Real Sociedad - shot with left foot inside of six yard box - left side is saved in the left corner. Mikel Merino - Real Sociedad - won a free kick in attack. Offside - Real Sociedad. Willian José with a pass, however Juanmi is in offside. Rubén Alcaraz - Real Valladolid - won a free kick in attack. Goal! Real Sociedad 0, Real Valladolid 1. Toni Villa - Real Valladolid - shot with right foot from the right side of the box to the top right corner. Assist - Óscar Plano. Missed chance. Mikel Merino - Real Sociedad - shot with left foot from outside the box is high and wide to the left. Assist - Juanmi. Theo Hernández - Real Sociedad - won a free kick in defence. Juanmi - Real Sociedad - won a free kick in defence. Corner - Real Valladolid. Conceded by Juanmi. New attacking attempt. Óscar Plano - Real Valladolid - shot with left foot from outside the box is saved in the left corner. Assist - Rubén Alcaraz. Joseba Zaldua - Real Sociedad - won a free kick on the right wing.